Academy coach Barry Lewtas has spoken of his pride at succeeding Steven Gerrard as the club’s new U18s manager for 2018-19. 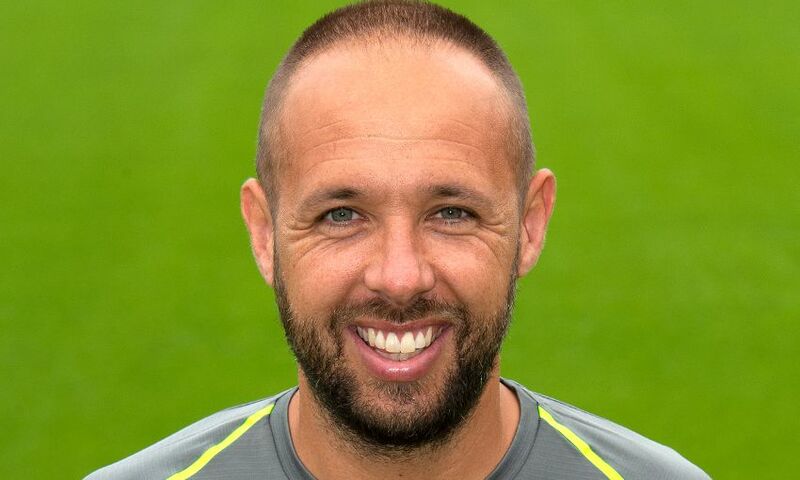 Following the Liverpool legend’s departure to take up a new challenge with Glasgow Rangers, Academy director Alex Inglethorpe promoted from within as Lewtas moved up from taking charge of the U16 side last term. The U18s have been on tour in Hungary and celebrated two victories over MTK Budapest and Rapid Vienna, and are now in Germany ahead of a meeting with Hertha BSC U19s in Berlin on Wednesday. With the new U18s Premier League season starting on August 11, Lewtas is hoping for a seamless transition into his new role as many of the new players were regulars in his U16 team last season. I’m extremely excited and it’s a huge honour. I’ve been at the Academy a few years now and worked across different age groups. The staff and the structure at the Academy is tight-knit so working across all the age groups, it’s obviously beneficial knowing the boys who are coming through. It’s exciting for me because there will be a number of boys in the squad this year who I worked with last year when I was in charge of the U16 group. Some of the lads I’ve known since they were 15 and it’s extremely exciting for me to see them on the next part of their journey. I’ve got a good understanding of where they are in their development, of what they are good at, but obviously more importantly where they need to improve. In terms of the style we want to play and what we are trying to develop across the Academy, it’s an exciting time. Obviously we’ve got boys at the moment who are progressing from U18s to U23s and hopefully beyond. This is an exciting group, it’s a nice mix, it’s a nice blend, and I’m excited by the type of football we can produce. I think first and foremost it’s a really good opportunity for us to be together. There’s a lot of mix between the boys, we mix up the rooms and change every four days, so they get a different roommate. It’s a chance for the group to bond and mix. We also do a lot of work off the grass in terms of workshops and setting our expectations. Secondly, it’s a good opportunity for us to run through things because they are breathing football here. There’s nothing else to do, so it’s a really good chance to get some of our ideas across as a group and also a good chance to meet with the boys individually.